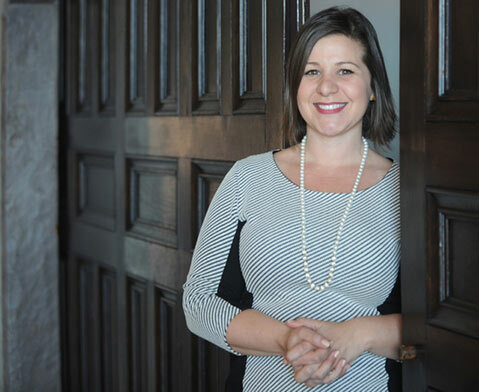 Last week, Jenna Tosh became the new leader for the tri-counties Planned Parenthood branch, replacing longtime president Cheryl Rollings, who retired last fall. With her, Tosh, 31, brings experience heading the Orlando affiliate, where she oversaw 69 staff and a $5 million budget. In charge of Santa Barbara, Ventura, and San Luis Obispo, Tosh — who holds a PhD in public policy, which she focused on teen pregnancy — will see her staff nearly double (120) and her budget more than triple ($16 million). After she was introduced at a private function last Wednesday, Tosh, who is married with one child, sat down with The Santa Barbara Independent to talk about protestors, Congress, and her plans for the Santa Barbara chapter. (And if her last name rings a bell, her brother-in-law is comedian Daniel Tosh.) What follows is an edited version of our conversation. What stands out most from your work in Orlando? Anything there you would want to replicate here? What I’m most proud of in Orlando is the work that we did to open a new health center in Osceola County that previously had no support. It’s been a critical resource to a large number of people. And we expanded our sexuality education programs that are evidence-based and are proven through research to have a positive impact on teens. That’s really on the forefront of prevention, and there’s a lot of opportunity to do some more work in the community here. What drew you to Santa Barbara? I hadn’t been here before. It was just a great opportunity. The health care landscape is changing so rapidly. California is an area where there’s a lot of room for innovation in health care and to set the standard for reproductive health. The Affordable Care Act has demanded a level of sophistication from all health care providers. It’s a great opportunity for us to see patients who previously wouldn’t have had access to services. What stands out about Santa Barbara? I think that what we have here is a very supportive community and a strong history of some really aspirational philanthropy. There is an opportunity to do some cutting-edge and innovative work here that could really help lead the movement nationally. The reality is that in some parts of the country, Planned Parenthoods are really challenged right now by the large number of abortion restrictions that out-of-touch politicians have passed over the last several years. There were 305 pieces of such legislation introduced last year. They’ve really changed the landscape for a woman seeking an abortion. Over half of all women in the United States now live in a state where the state legislature is considered hostile or extremely hostile to women’s rights. In contrast, last year, California was the only state to pass a measure that actually enhanced access for women. So I think there’s an opportunity here, on the policy level, to drive some new standards for women and also maybe to pilot some new and innovative ways to reach women. This affiliate recently piloted online appointment scheduling. How was the rhetoric in Orlando? I saw that you had anti-abortion protestors come to your house. It was awful. I just feel very strongly that regardless of how people feel, we can all agree that going to someone’s house and harassing and intimidating their family is not acceptable. There are wonderful Planned Parenthood supporters wherever we go. Planned Parenthood wouldn’t have a presence in all 50 states if it weren’t for our incredible supporters and the fact that there’s a need for our services in all 50 states. I think that it’s obvious that Florida’s political climate is really difficult. It’s easier for people to speak out and voice their support in an area where they have the support of their state legislature. In California, they do. In Florida, we really have had some struggles. There are some anti-abortion activists here. One group has toyed with challenging the city’s bubble ordinance. What’s your take on that? I’ve read the bubble ordinance. I think it’s the appropriate balance between free speech and the right of patients to access the care that they need. Planned Parenthood’s top priority is always ensuring the health and safety of our patients, and I think that the bubble ordinance does that. What are your fundraising goals? This affiliate has a very strong history of philanthropic support, which is one of the reasons why I was attracted to coming here. Santa Barbara was home to a major philanthropist [Katherine McCormick] who funded the development of the birth control pill. There’s a lot of opportunity to really think aspirationally about what we would like to accomplish as a movement. You wrote your dissertation on teenage pregnancy—what did you find? The takeaway is that restricting access to any health services for teens has a poor impact on teen pregnancy. That makes teens less likely to access care. There’s a disparate impact on minority teens. I think that’s something that we really need to keep an eye on. We’re doing really good work to cause teen birth and teen pregnancy rates to decline, but there are still disparities in a lot of communities that Planned Parenthood needs to address. You mentioned the number of anti-abortion bills produced last year. I think the new Congress has already introduced another one. Six. I think that we have to stay very focused on the political climate. We are looking at a Congress where essentially no one was elected on an anti-women’s health platform. We have a lot of politicians who ran voicing support for women’s health and voicing support for birth control, and then we have a situation where as soon as they’re elected, they’re introducing more restrictions. I think that our job as Planned Parenthood is to hold people accountable to their campaign promises. How do you plan on working with the younger generation of activists? My experience is that young people are very engaged. In Orlando, we worked with Planned Parenthood Generation, a student group that does all sorts of incredible advocacy on campus. We have an incredible chapter here at UC Santa Barbara. Really what we have to be focused on is finding opportunities to listen to young people, to be accessible, and to look for opportunities to give young people the ability to lead in the movement — because in a lot of ways they really already are.